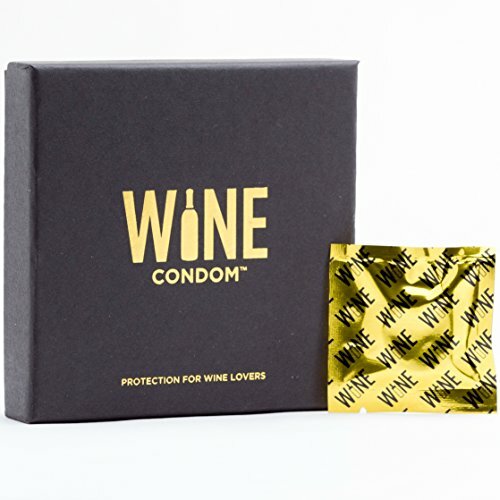 INCLUDES ALL YOU NEED. 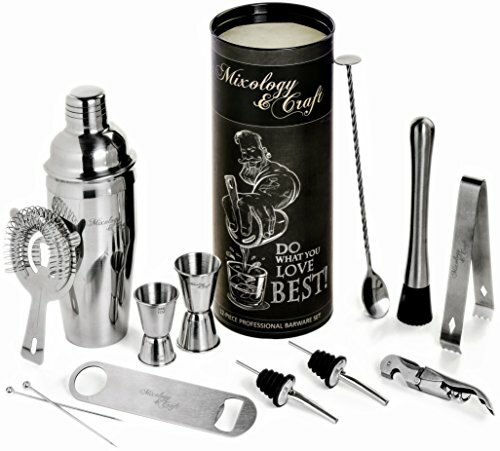 The bar set of 11 items for preparing cocktails: strainer, jigger, 2 shakers, bar spoon, pourer, muddler, fruit peeler, bottle opener, cork screwer and ice tongs. LONG-LASTING SET. 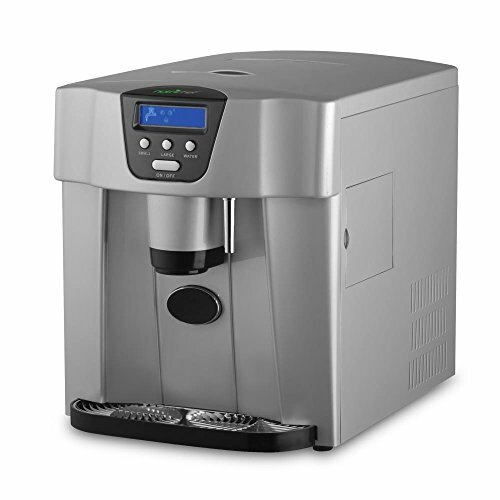 Each item is crafted of sleek and durable stainless steel so it won’t have any issues with retaining odors or staining and will last long. EASY TO WASH. This cocktail set is dishwasher-Safe. icen tongs – easily add cocktail ingredients to your drink. 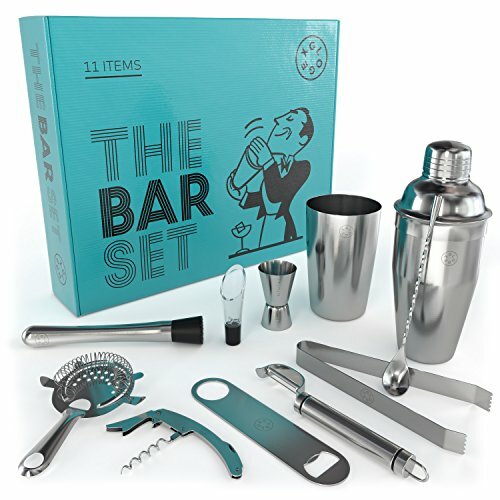 This bar set is made of stainless steal and will serve you for a long time. COMPACT STORAGE. 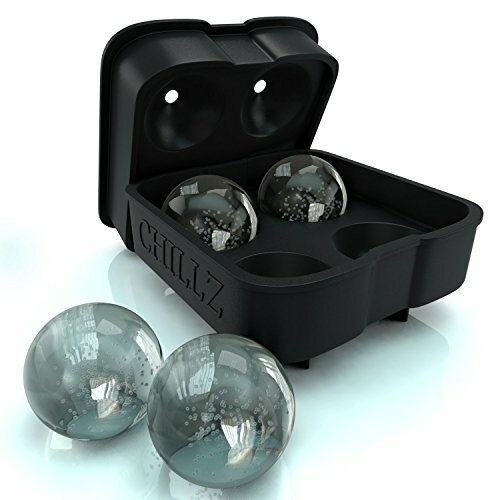 This set is compact that makes it easy to store and taking it on the go. GREAT QUALITY. 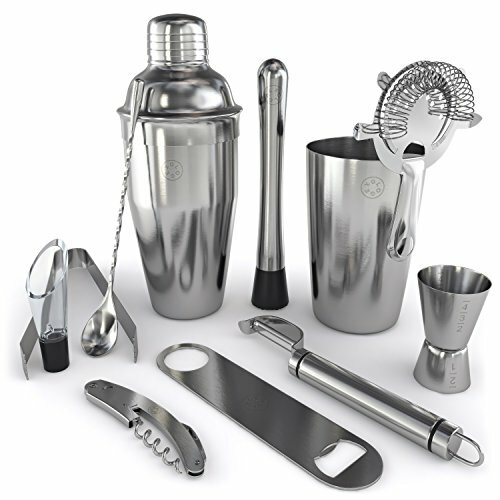 We are sure that you will like this stainless steal bar tools. But if for any reason you wouldn’t be happy with it, we can guarantee a full refund.